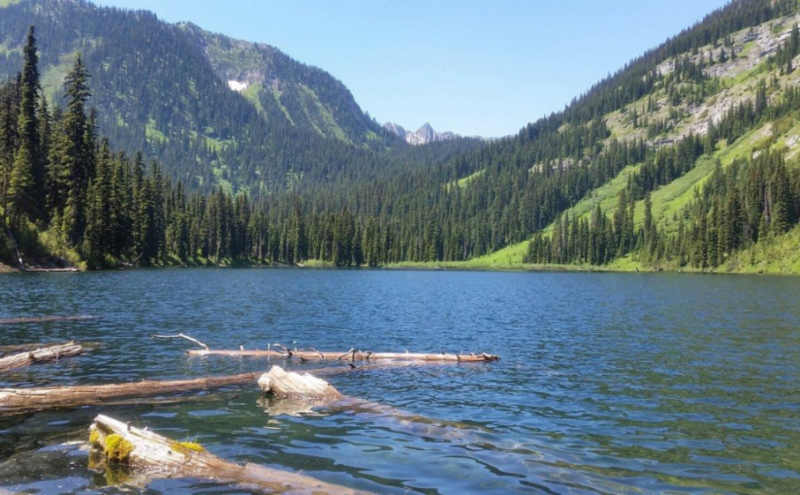 This popular recreation site consists of a mix of vehicle campsites (not on the lake) and tent sites (on the lake). Driving Directions:From the community of Riondel on the east shore of Kootenay Lake, take a right turn on to Eastman Avenue and proceed to Tam O’Shanter Creek. 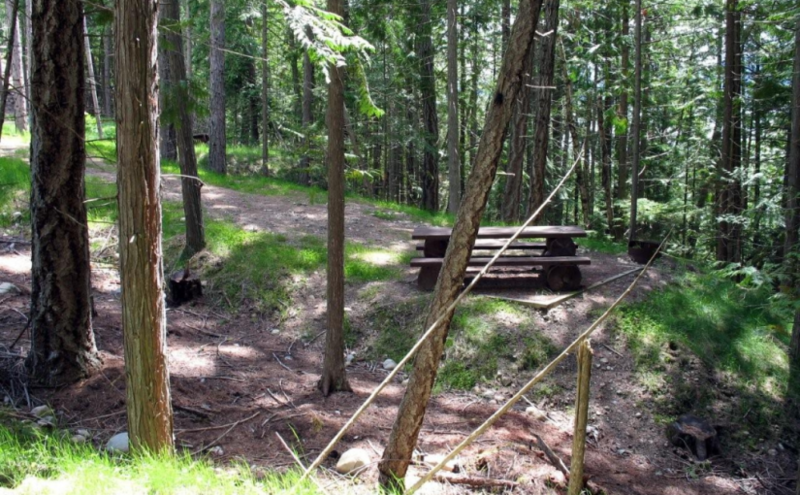 Take the Kootenay Lake East forest service road 9.0 km to the Bernard forest service road junction, then take the left fork for 3.0 km to the site. The road is suitable for 2wd vehicles. This is a steep rustic trail into an alpine lake area. The trail starts on a skid road in a cutblock, and winds its way through dense sub-alpine forest and creekside vegetation to the east end of the lake. The area is heavily used by grizzly bears and site users should take care to make noise when hiking. Hike in groups, and store food out of bear-reach and well away from campsites. 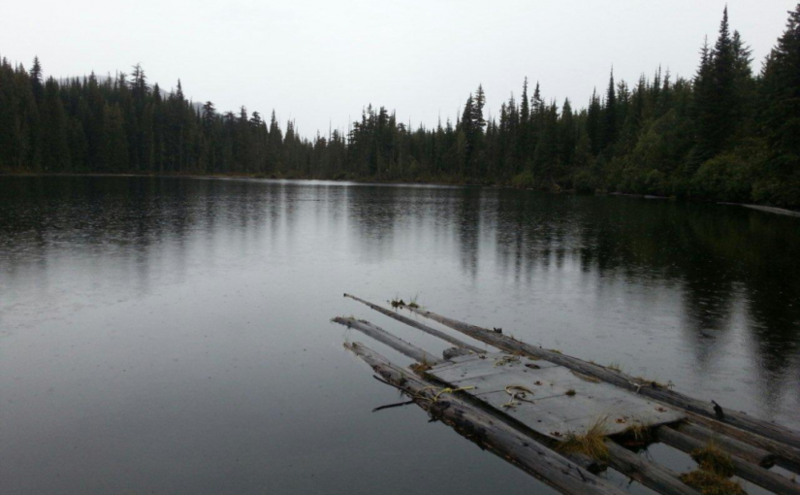 The site provides good backcountry camping and fishing. Please pack “ALL” your garbage out with you so bears are not attracted to the area. Driving Directions:From Balfour, drive 23.0 KM along highway 31 towards Kaslo, and turn left onto a dirt road (4.2 KM north of the Woodbury Creek Resort). Zero your odometer at the start of the Woodbury-Fletcher FSR. At 1.1 KM (the crest of the hill) turn right on to Fletcher Creek Road. At 2.8 KM take the left fork. At 3.7 KM bear right. At 7.3 Km stay left. At 11.5 go right and begin to drive though recent logging. Road is very rough from here (high clearance 4×4) with deep water bars. At 12.5 KM park at the old logging landing. From here walk a few hundred feet along an old de-activated road to find the trail head going off up to the left. Milford Lake is a small site at a sub-alpine lake that is accessible by 4wd high clearance vehicles. 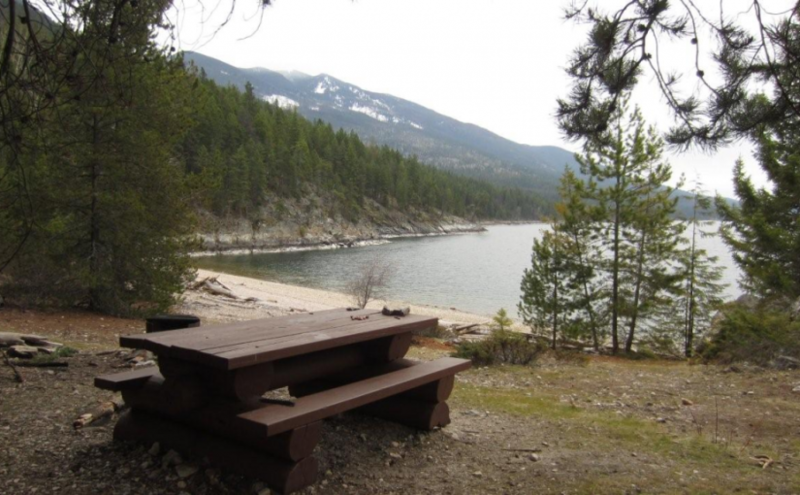 The site offers scenic views down Kootenay lake and 2 campsites. Driving Directions:The Milford Lake road leaves the west side of Highway #31, 9.4 km north of Kaslo. Travel up Milford Lake Road for 8.0 km to a junction. Turn right at this junction and continue for another 0.8 km to the lake. Although there are some steep rough sections, the road is suitable for 2wd high clearance vehicles. This is a popular sunbathing, swimming, and camping site. It is located in a small protected bay on the east shore of Kootenay Lake with a pebble beach surrounded by exposed rock. The site offers fishing, hiking, camping, picnicking, and swimming. Driving Directions:From the community of Riondel on the East shore of Kootenay Lake, take a right turn onto Eastman Avenue and proceed to Tam O’Shanter Cr. 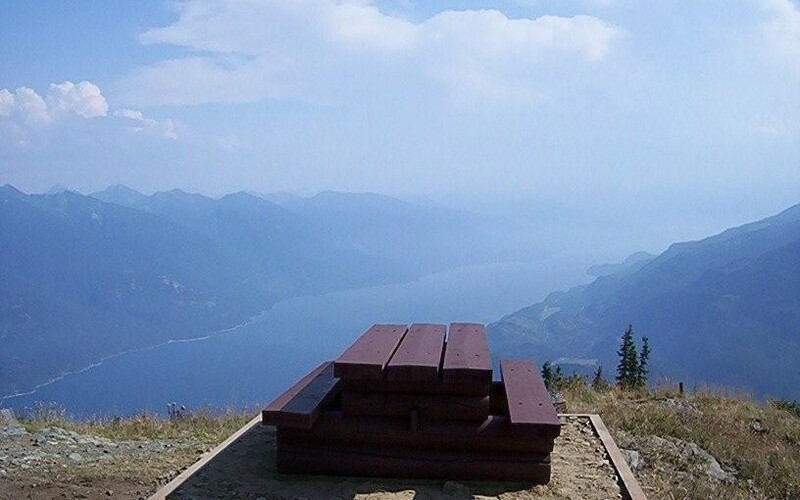 Take the Kootenay Lake East Forest Service Road for 3.2km to the trail head. Park your vehicle on the left side of the road by the trail head sign. A moderate 2.0km trail located on the west side of the road leads into the site. This site is also accessible by boat. The Ross Lake trail offers a sub-alpine experience for the whole family. 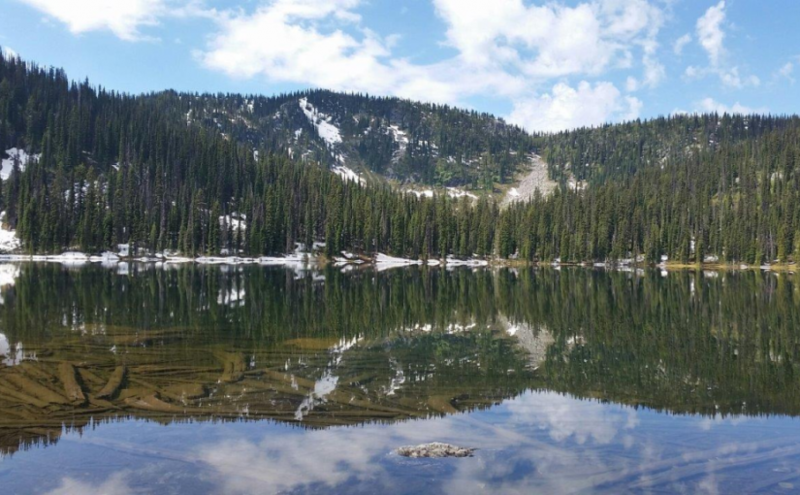 This is a short,but rough, trail that ends at a small alpine lake and provides access to the surrounding ridge system. The primary activities are hiking, fishing, and camping. Driving Directions:From the ferry terminal at Balfour, travel west on highway #3A for 2.7 km to Beggs Road on the right. Keep to the left, and follow Beggs road for 0.8 km to a fork in the road. Stay left and drive 0.3 km to Redfish Forest service road on the left (cross over Laird Creek). Follow Redfish forest service road (keep right at the junction with the Redfish Research Area) for 10.3 km to a bridge. Drive across the bridge and drive the remaining 1.0 km to a road that leads to the right. The bridge across this road is damaged, so you will need to walk the remaining portion of the road to the trailhead. The trail begins on an old skid trail to the north-west.